Glitter or rhinestones would have fit into the theme of ‘Sparkle’ better, but I needed something simple and I had beautiful holo polishes and a new Uber Chic nail plate that needed love. 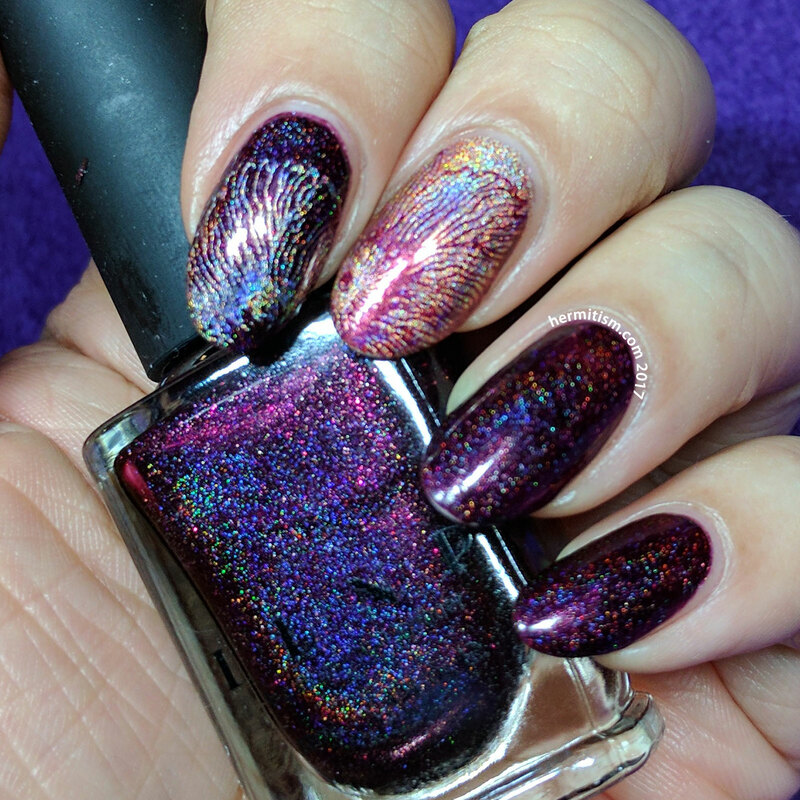 I knew Color Club’s “Cosmic Fate” would stamp well, but I am happy to say that ILNP’s “Black Orchid” performed pretty well too. 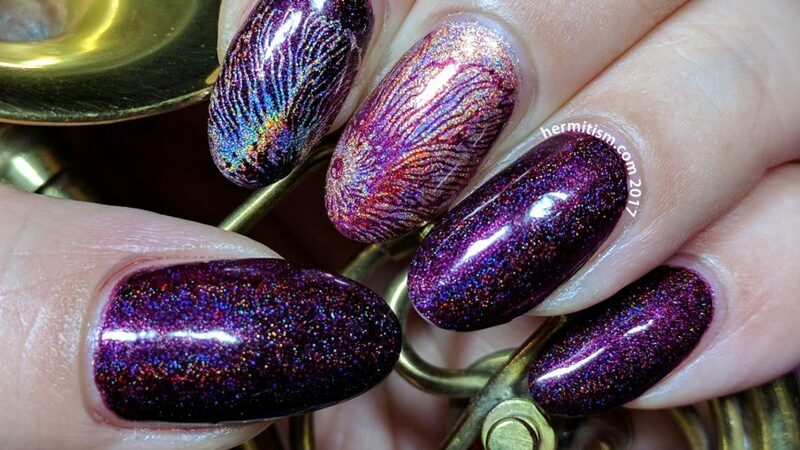 The Color Club polish was more holo in dimmer lighting than the ILNP. The ILNP polish has a rich color that shows through when there isn’t enough light for it to reflect hololistically. The Color Club polish without its holo is a much less pretty color. Together they make up for each other’s weaknesses throughout the day. I’d happily use this combo again. I’d say holo definitely fits the “sparkle” theme! Really pretty mani!